McLanahan Corporation is an ISO 9001:2008 certified manufacturer of safer, simpler and smarter equipment that helps producers do more than ever in today’s tough marketplace. From primary crushing to water management, McLanahan custom engineers process solutions to help you be more efficient, more productive and more profitable. A trusted name since 1835, McLanahan equipment is used for crushing, breaking, sizing, classifying, sampling, washing, dewatering, feeding, screening and more. Sales, engineering and customer service personnel are constantly working together to improve standard designs to help producers do more with their resources. 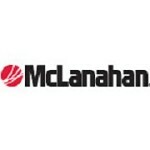 Headquartered in Hollidaysburg, Pa., USA, McLanahan Corporation has additional U.S. locations, as well as global offices in Asia, Australia, Europe and South America. For more information, please visit www.mclanahan.com or contact sales@mclanahan.com.